It’s been three years since Lands of Ash and Karvir, transformed into a fire-elemental-like charred, and his family have settled down with Brode and his little sister Pet. The world is peaceful again. When Karvir and his youngest daughter Trea, now on the cusp of womanhood, venture to a nearby town, a pair of travelers changes everything for Karvir’s family. Eanan and Gabrin had fled the Fire Elementals to islands off the sea and have returned to find the Evermirror, a portal to the Water Elementals. While the Fire Elementals have been driven to their own realm, three other elemental races are out there. The pair want to find allies. And when Quilla, Karvir’s oldest daughter, begins hearing a strange voice talk to her, she is driven to find out, leaving her family behind to join Eanan and Gabrin on their quest. But Karvir’s not going to let his daughter run off. With Trea and Brode, he sets off to bring his daughter home. But danger lurks. Alana, servant of the Earth Elementals, fears the Water Elementals return. She and her ruthless band will do anything to prevent Quilla, Eanan, and Gabrin from reaching the Evermirorr. Elemental war again threatens the peace of the world. Call of Water is a great follow-up to Lands of Ash. Burke expands the scope of her world, introducing us to the Water and Earth Elementals and illuminating the history of her world. It is a fast-paced story with plenty of action and youthful romance. Family, again, dominates the theme of this book with the entrance of Eanan to the story, Karvir’s father-in-law and she skillfully uses the plot to explore the relation of fathers with their growing daughters. An excellent read and I am eager for Burke’s next entry into the series! 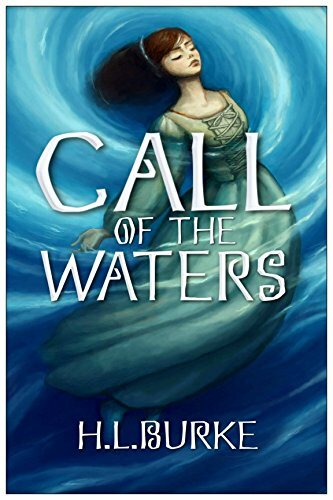 You can buy Call of Water on Amazon!